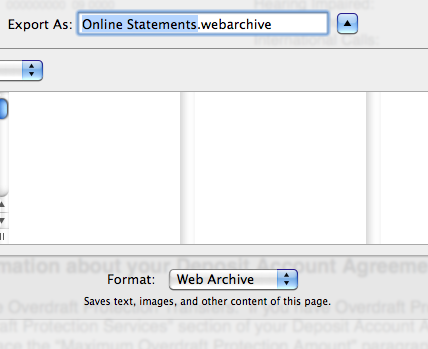 In the past, I struggled with how to easily work with PDFs from Safari. I used to save the PDF to my desktop, then launch Acrobat, and then open the PDF in Acrobat. I wanted to find an easier way. Here are some of the ways I use web-based PDFs on an everyday basis. Because I'm curious, I want to see the Document Properties of the PDF (who made it, if there are any keywords applied, if it has embedded fonts, and most importantly, if it was created by a respectable software). To demonstrate how to more easily work with PDFs, we'll go through the task of downloading some PDF bank statements from online banking. 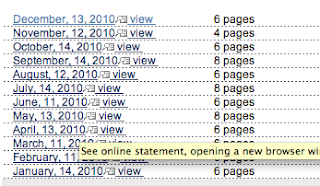 I've got twelve different PDFs that I need to download, so I need to find a way to make the process easy. And it should be easy, right? PDFs make everything better, don't they? So, I've got my first PDF loaded, and I try to save it. But it is saving as something called a .webarchive. A what? I don't know what a .webarchive is, nor what types of files it could contain. So I want to stay away from this mystery file type. I know my bank statement is a PDF, so I just need to find the best way to save it as a PDF. 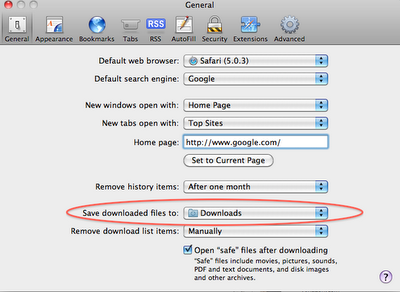 In Safari, when you are viewing a PDF, if you hover near the bottom of the PDF, you'll get a little pop-up that allows you to save the PDF to your download folder. 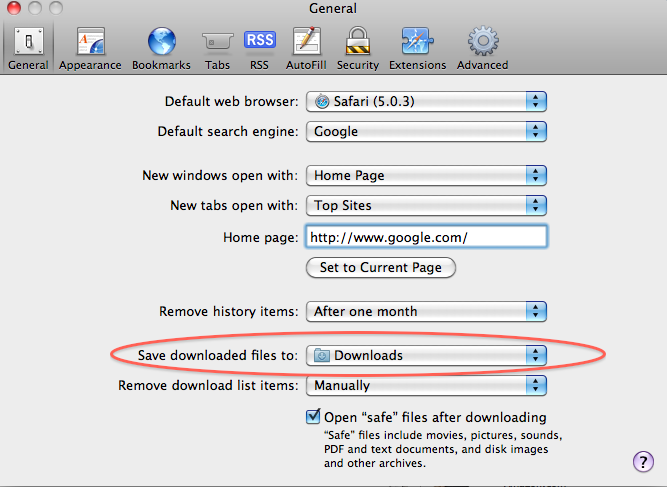 Unless you've changed the default setting in Safari preferences, the files will automatically download into your Downloads folder. So saving to the downloads folder seems like a pretty good solution. So one by one, I save the PDFs to my Downloads folder. But then I take a look at the file names and they are very cryptic and need to be changed. 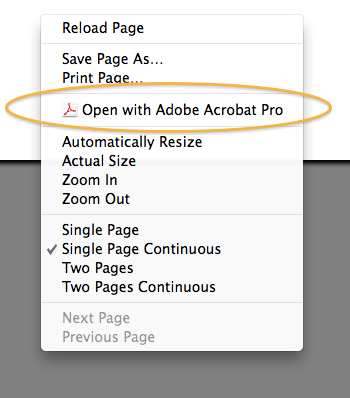 So I know how to open a PDF in Preview with 1-click, but what I really want is to be able to open a PDF in Acrobat Pro with 1-click. And a few weeks ago, I found it! 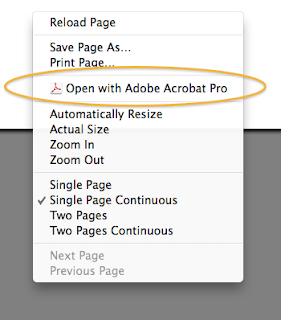 While viewing a PDF in Safari, right click and then choose "Open with Acrobat Pro." Ahhhh...that's better. Now I can open my PDFs is Acrobat, and easily save them wherever I want, with whatever file name I want. I want to mention that this article is based on using Acrobat Pro 9, on a Mac. I've heard Acrobat X is totally amazing, and I look forward to using it, but currently, there is no Mac trial available (and I don't like to buy software without first testing it out for a few weeks). Bummer.